Eliza Somerville Broadus - KENTUCKY WOMANS MISSIONARY UNION, INC.
Eliza Somerville Broadus was born in Charlottesville, Virginia in 1851. In 1877, after moving with her family to Louisville, Kentucky, Miss Broadus joined Walnut Street Baptist Church and became a member of the missionary society of that church. The following year, 1878, Kentucky formed a Central Committee and Miss Broadus was elected to serve on that committee as the representative from the Walnut Street society. She continued to serve as an active member of Kentucky’s Central Committee, later known as the Executive Committee, until 1928, a period of fifty years. During that time she was chairman of the committee for thirty-two years and vice-chairman for nine years. When she resigned from the committee in 1928 she was made an honorary life member of the committee. 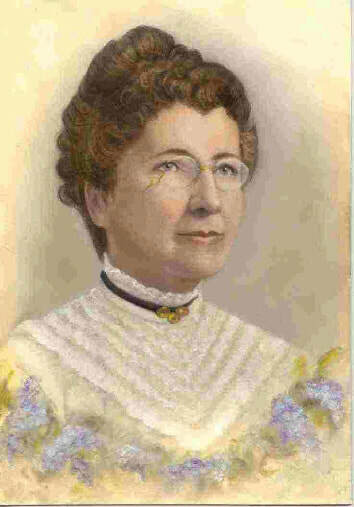 In 1888, when Woman’s Missionary Union was organized in Richmond, Virginia, Miss Broadus was not present, but was nevertheless elected vice-president from Kentucky. She made valuable contributions to WMU work through her years of service both in Kentucky and in the work of national WMU.